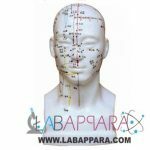 Head Acupuncture Model- Scientific Educational Model Head Acupuncture educational model depicts all important head and neck acupuncture channels and points. It also illustrate the Chinese Scalp Therapy insertion lines, selected “extra” points not found on the primary channels. Complete with appoint name and location guide. 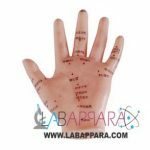 Available in Life-size hand Acupuncture Model. Normal Foot- Scientific Educational Model Labappara Normal model shows the anatomical structure and the distal end of tibia of normal foot.